Whether you’re moving from NJ to Alabama to begin a new job or to be closer to family members, it’s important to choose professional movers with experience. Simonik Moving & Storage has been providing professional moving services since 1977. 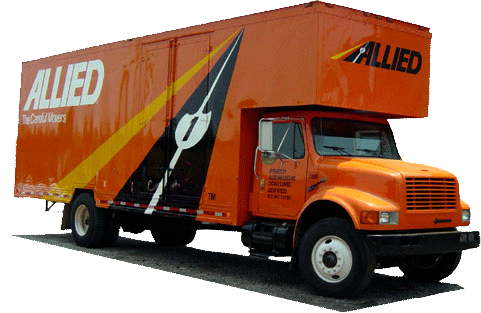 As BBB-accredited and award-winning agent of Allied Van Lines, we belong to a nationwide network of moving and storage professionals that can move your household anywhere in the country. Wherever you need your belongings to go, we’ll get them there in pristine condition. If you find yourself in need of storage before, during, or after your move, just get in touch with your Relocation Coordinator to arrange for storage. We’ll pack your belongings in containers designed for long distance shipping and storage them in our secure warehouse facility for as long as it takes for you to complete your New Jersey to Alabama move. When you choose Simonik Moving & Storage for your NJ to Alabama move, you’re choosing a moving company that’s earned the “Mover of the Year” award from the New Jersey Warehousemen & Movers Association. We’re also proud to be a ProMover member of the American Moving & Storage Association, keeping us up-to-date with the latest trends and techniques in the industry for conducting long distance moves. We service households throughout North and Central Jersey, including Hunterdon, Mercer, Middlesex, Monmouth, Morris, and Somerset counties. Ready to learn more about how our expertise can make NJ to Alabama moving a stress-free experience? Give the experts at Simonik Moving & Storage a call right away to find out more or complete our online quote form today to request your free, no-obligation moving estimate.